Penetrating finishes are easier to apply and leave a more natural look. Surface finishes are more durable but don’t look as natural. 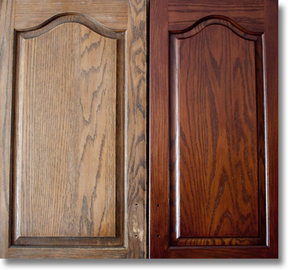 Linseed oil is one of the oldest penetrating finishes, but it tends to become sticky in humid weather. Danish oils also fit into the category of penetrating finishes. Tung oil is a favorite among woodworkers because it’s easy to apply and leaves an attractive, natural appearance.